With my latest homeowner problems assessed, it was time to start fixing things up in an effort to put my house back together pre-babies. You can imagine my determination to get my clean cozy house back in order and get my nursery done before the arrival of my Littles...it is really unlike me to not have it all done! But alas, this is another great life lesson in letting go and realizing not everything is in your control. With the dining room floor still ripped up and a floating sink, it was finally time to hire the team and get them in the house and working hard! 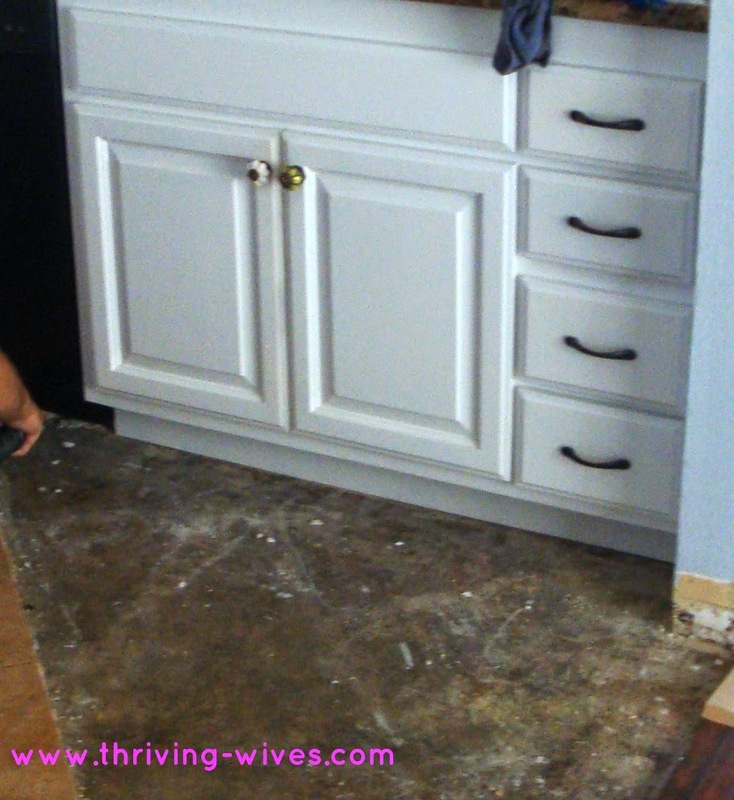 The cabinet needed to be rebuilt and the ENTIRE HOUSE was getting new floors. Easy right?! No, not at all. A team of movers had to come in and move every piece of furniture in order to lay new floors. Thank G for my Thriving Mommy/Full Service Assistant and TH otherwise I don't know what I would have survived the mental stress my OCD was causing. Growing two babies has been getting more energy consuming by the day so I just can't go all "tornado" for hours like I usually do. Thankfully, our wonderful homeowners insurance, State Farm, was putting us up in a hotel (again) so I could rest as much as possible while work was done at our home all day long. 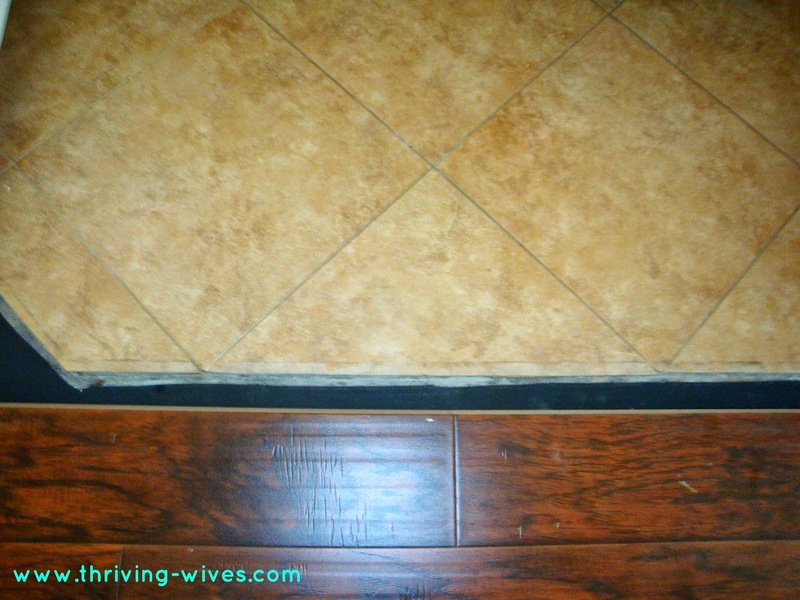 The entire house was set to look like this...minus the baseboards of course, those needed to be replaced too! My TH and I did as much as we could moving things to the garage (I didn't really want anyone touching my vintage dishes but me) before the team arrived. Once the workers showed up, they didn't waste a moment. 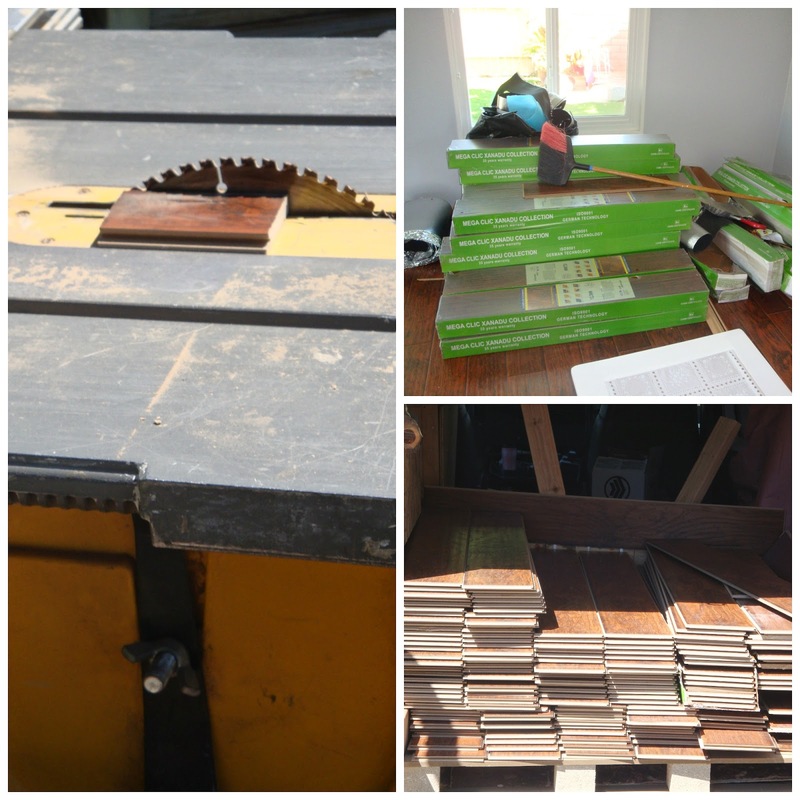 They unloaded their trucks with heavy machinery and boxes of flooring. They ripped out all the baseboards and existing flooring to start prepping for the new floors to be laid. I stopped by a couple times a day, but for my sanity, I tried not to stay too long. My beautiful house was no longer looking all that beautiful and seeing it only made me anxious. Who knew this 1970's style was so popular? It was under the floors in the entire house! As the days progressed I was amazed to see how quickly these guys worked. 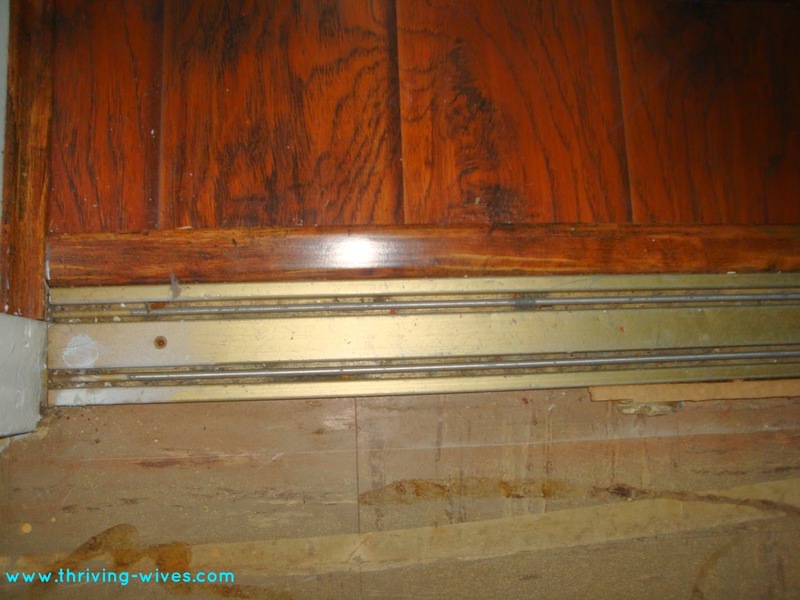 Since I am a hater of closet doors (unless mirrored for fashion shows of course) I had already had my TH remove them from the other bedrooms and hall closet and store in the attic. I prefer to hang curtains so I don't lose that hidden space behind where the doors meet and add some character with a pretty pattern. While we were able to remove the track from the ceiling with the door and patch, I still had to look at the ugly bottom track...well not with the new floors being installed I didn't! I had my team lay floor straight through to give it a cleaner finished look. Gotta find those perks where you can! 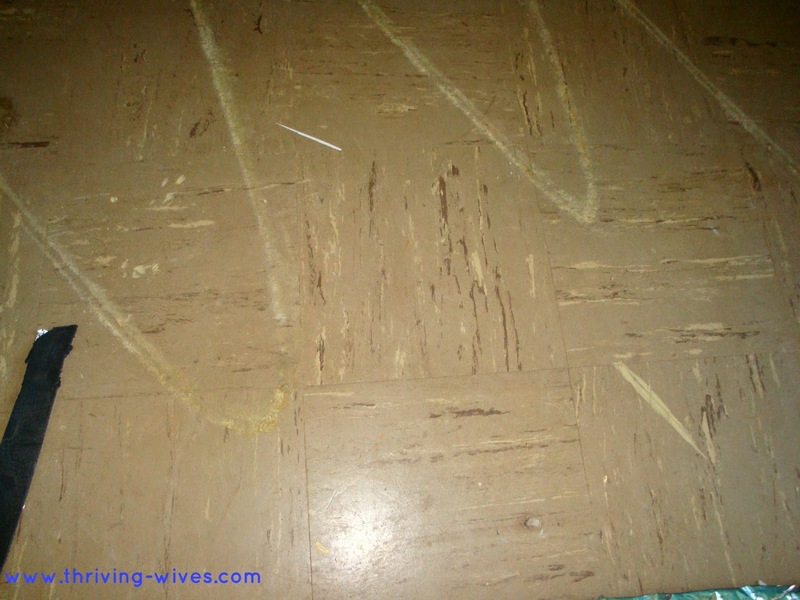 1970's linoleum mixed with disgusting closet track?! SEE YA! 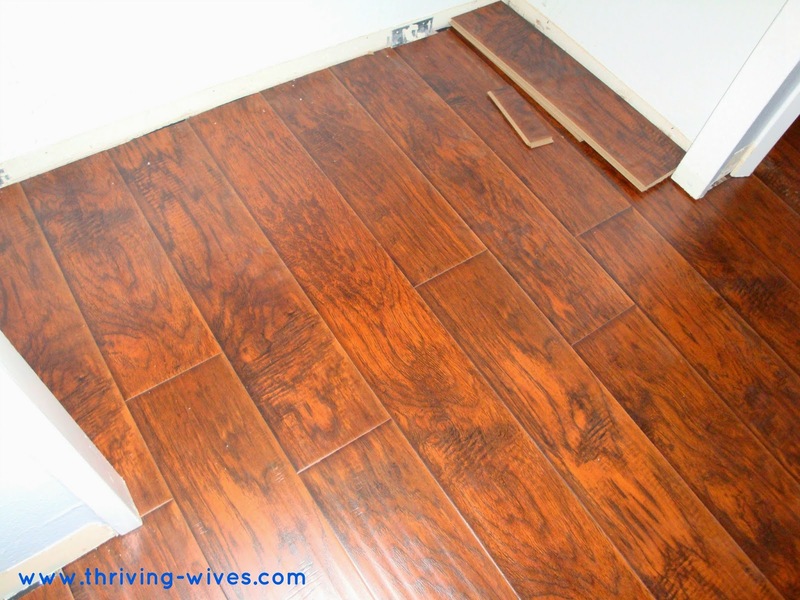 Hello clean trackless, floored closet! They had nearly finished the front of the house when alas...they found more water damage. Can we EVER catch a break?! 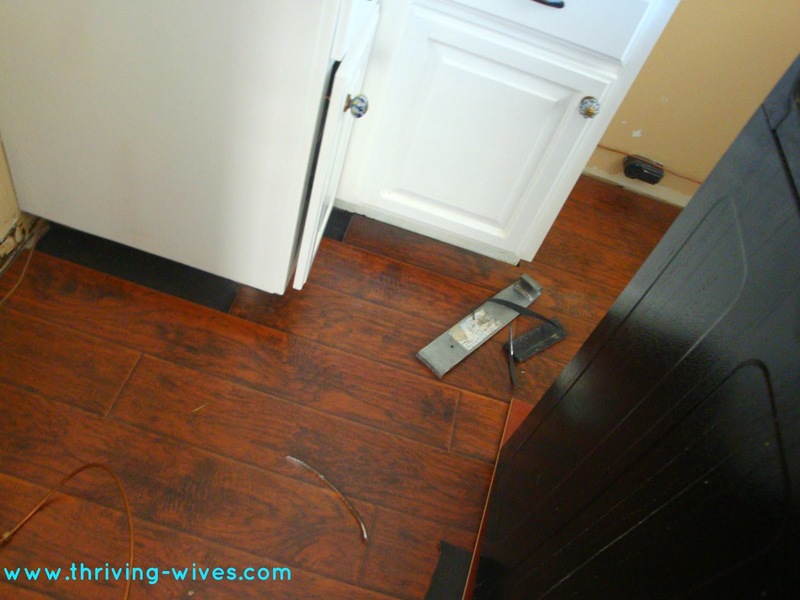 Apparently, when they were taking out the flooring near the kitchen, it became clear that the kitchen tile was lose due to the water damage. What does that mean you ask? Oh you know, we needed to add to our existing claim and have the tile ripped out of the kitchen. Was I upset? Not after I learned that I could lose that kitchen tile I hated anyway and have the floors extended into the kitchen. Since the space itself was so small, it would only take an additional half day and they would be able to knock it out for this impatient mommy. 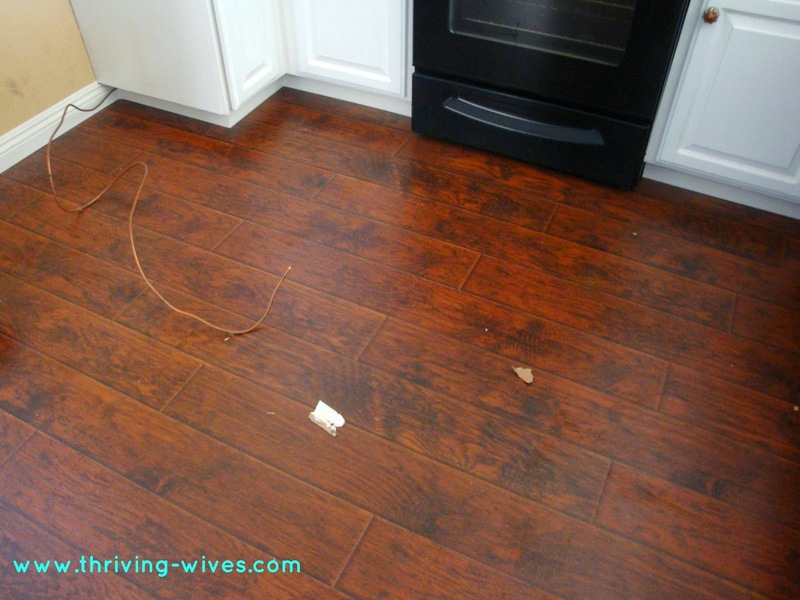 Goodbye kitchen tile, you will not be missed! Just when we thought we were on the home stretch, with the baseboards being painted and reinstalled, we hit another bump in our road to recovery (if you watch as much HGTV as I do, you realize that there is always ALWAYS something when fixing a home), the cabinet had to go in before the kitchen floor could be redone. With this new wrench in our plan, I had my TH call the cabinet man from GMC Cabinetry and Construction immediately and get him out asap, I made sure to sob loudly in the background and have my TH mention my growing belly in an effort to get him to put a rush on it! Thankfully, he not only understood the importance of getting this done, but came out the same day, got the measurements and was back the next day to install. LOVE HIM! Before I knew it, he was done! 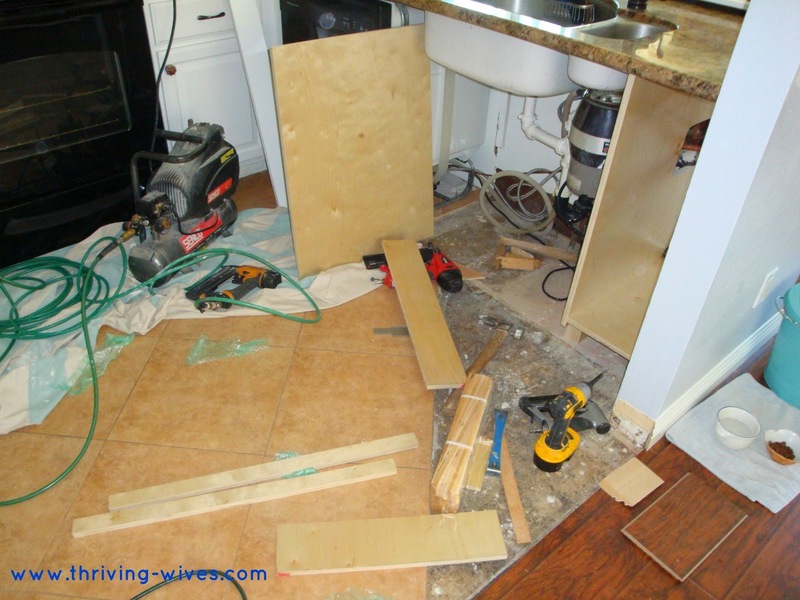 With the cabinet in and nearly 1/3 of the kitchen ripped out, all we needed was the rest of those tiles to come out and the new floor to be laid...then, wait for it...we were DONE!!!! 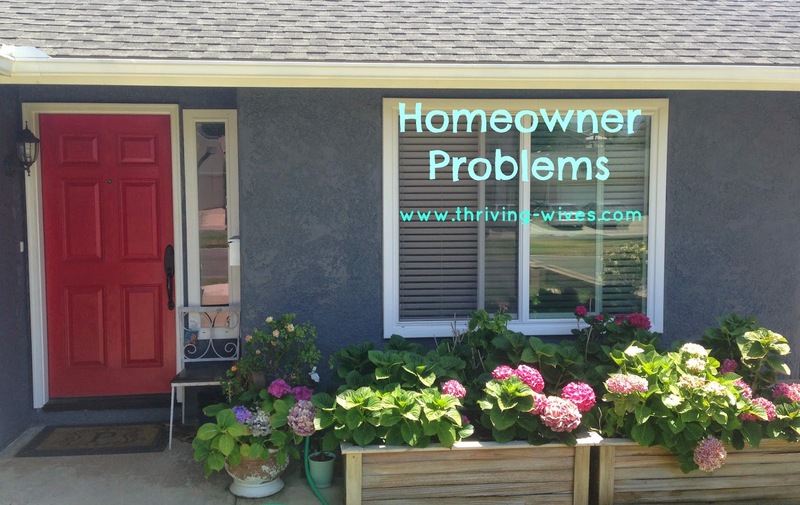 Finally, the day came for them to finish the nearly two month long #homeownerproblem we had been dealing with. 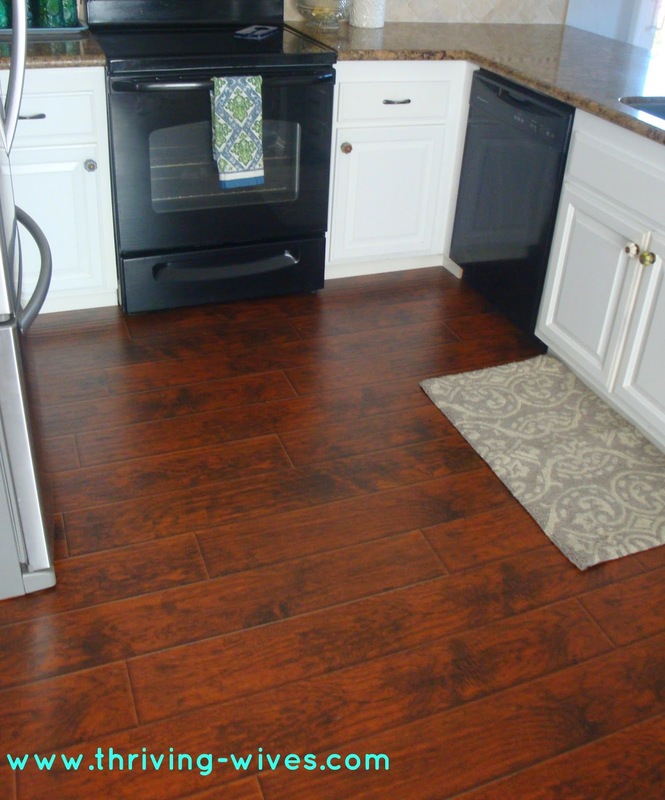 The flooring team ripped out the existing tile, moved out the refrigerator and oven and went to town! Added bonus of the oven coming out? Getting to scrub the sides of that nasty thing! Oh it was amazing! Each time I went into the kitchen to check the progress, I was amazed at how fast my new buddy was working. 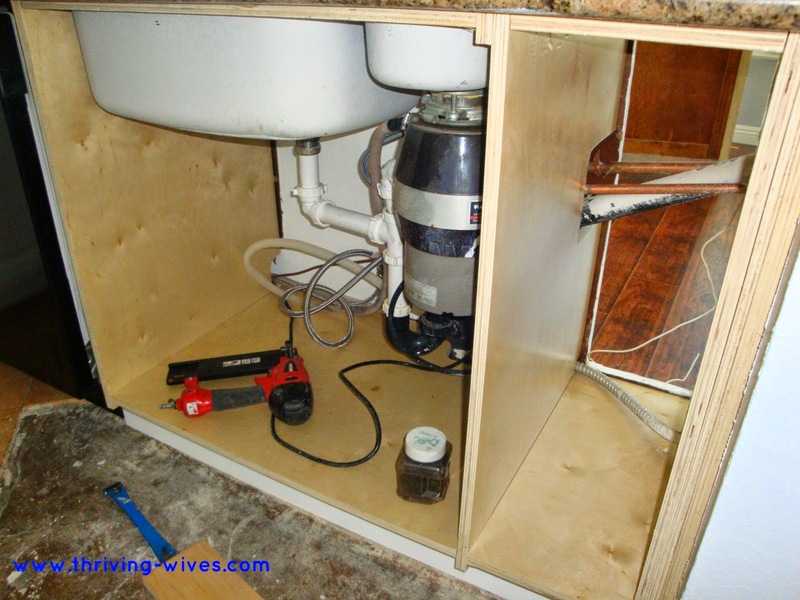 I mean he even put baseboard behind the refrigerator, no shortcuts here! Soon, he was moving the refrigerator back into place and loading up his supplies. As I fought back tears of joy, I thanked him profusely. It was time for me to use all the energy I had been saving all day to clean the heck out of this place so my TH could start moving our stuff back in when he got off of work the next morning. We are so thankful to all the helpful people who worked with us at State Farm and did their best to ensure this experience was as pleasant as possible (thank G one million times over for homeowners insurance). We were quickly relocated when it was necessary to a hotel near our home that was to our standard of living. We were reimbursed for all food costs as well as any service that was covered in our plan. Furthermore, we were given the option to use our own contractors or go with those who work with State Farm. 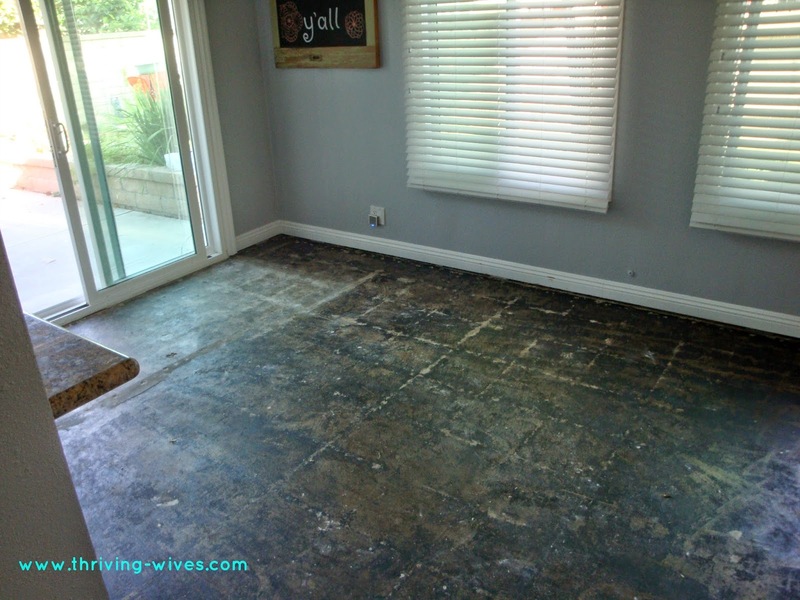 Through this process we found the most amazing flooring man that the world has ever known, Ben from Flooring America. There motto is, "Where friends send friends" and I couldn't agree more. The service experience we had was nothing short of amazing. I STRONGLY suggest if you are in the need of any flooring, call them and ask for Ben. He is THE BEST! Don't think that I wouldn't give a little plug for the fastest cabinet man in town too, GMC Cabinet & Construction, no messing around there. Just quality work done quickly. Thank you so much to all of you who helped get our house back to a home as quickly as possible!